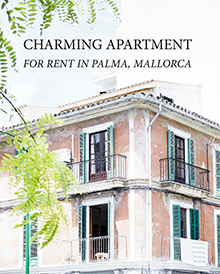 In the heart of Santa Catalina, Palma we rent out our lovely apartment of 90 sqm. The apartment is a corner apartment with 3 bedrooms, kitchen and bathroom. 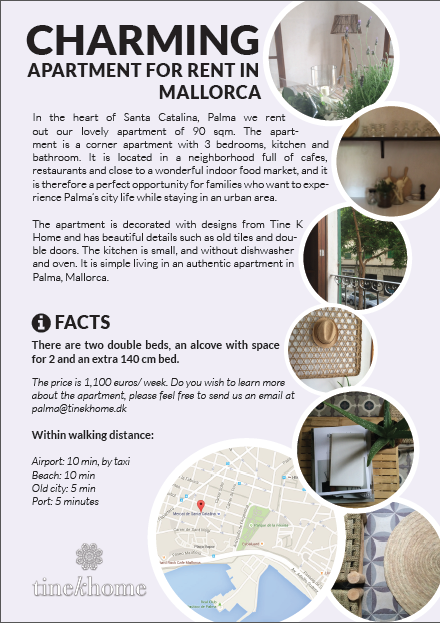 It is located in a neighborhood full of cafes, restaurants and close to a wonderful indoor food market, and it is therefore a perfect opportunity for families who want to experience Palma’s city life while staying in an urban area. The apartment is decorated with designs from tinekhome and has beautiful details such as old tiles and double doors. The kitchen is small, and without dishwasher and oven. It is simple living in an authentic apartment in Palma, Mallorca. There are two double beds, an alcove with space for 2 and an extra 140 cm bed. The price is 1,100 euros / week. 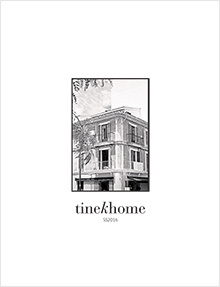 Tine K Home was founded in 1999 by my husband Jacob and I. The Tine K Home Collection is a personal mix of cold, natural colors from the Scandinavian culture combined with the inspiration, textures and charm from my many travels around the world. The majority of the items are handmade and thus unique. 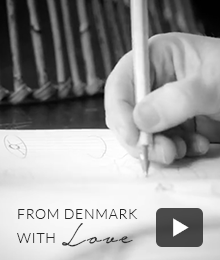 My vision is to pass on the passion for beautiful objects - from different cultures, own designs, and sweet memories. Copyright © 2016 tinekhome. All rights reserved. www.tinekhome.com. Simple theme. Powered by Blogger.